With the Syrian refugee crisis intensifying, the Illinois State University School of Theatre and Dance and the Theatre Connections program is partnering with two registered student organizations, ISTOP (Illinois State Outreach Program) and LATA (Latin American Theatre Association), to gather donations of new or gently used winter outerwear for new refugees in the Chicago area. Donations will be accepted at performances of The Trojan Women and in the School of Theatre and Dance office. Over the next two weeks, the Theatre Connections program will gather coats, boots, hats, scarves, and gloves for men, women, and children of all ages and donate them to the Chicago-based organization RefugeeOne. 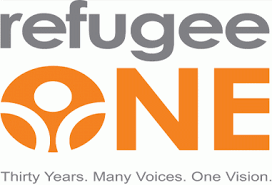 RefugeeOne is a refugee resettlement agency that provides a full range of services to refugees resettled in the Chicago area. The organization’s primary focus is to assist refugees in becoming independent, self-supporting members of their new community as soon as possible. RefugeeOne assists approximately 2,500 refugees and immigrants of all ages and ethnicities in learning the English language, develop job readiness skills, secure employment, obtain medical care, apply for citizenship, as well as providing many other services. The Trojan Women will be presented at 7:30 p.m. November 6, 7, 10, 11, 12, 13, and 14, and at 2 p.m. November 8, in Illinois State’s Westhoff Theatre. The Wednesday, November 11, performance will be interpreted for the hearing-impaired. Clothing and monetary donations will be accepted before and after each performance. Tickets are $12 for adults and $10 for students and seniors. Tickets can be purchased at the College of Fine Arts Box Office, located in the Center for the Performing Arts; by phone at (309) 438-2535; or online at ticketmaster.com.